Donald Cerrone and Sergio Pettis were awarded $50,000 in fight night bonuses for their performances at UFC on FOX 10 in Chicago, while Alex Caceres received $100,000 in bonus money. 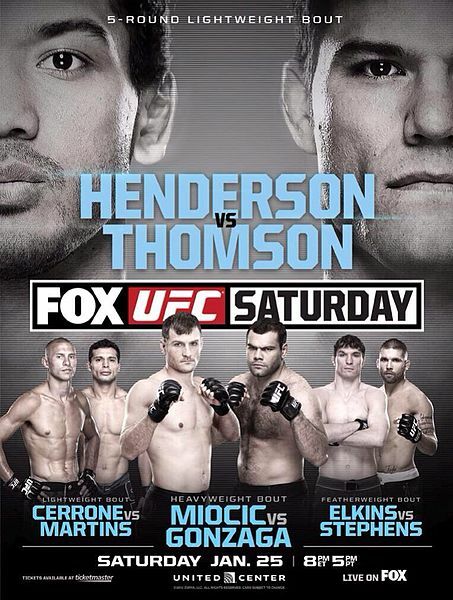 UFC on FOX 10 takes place today at the United Center in Chicago, Ill. 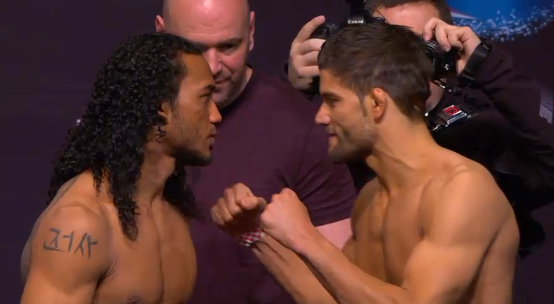 The event is headlined with a lightweight match-up between top contenders Benson Henderson and Josh Thomson. In the co-main event rising heavyweight star Stipe Miocic battles dangerous veteran Gabriel Gonzaga. ProMMAnow.com will provide live results and play-by-play commentary for UFC on FOX 10 beginning with the FOX Sports 1 preliminary card at 5 p.m. ET, moving to the FOX-televised main card at 8 p.m. ET. Weigh-ins for UFC on FOX 10 go down today at the United Center in Chicago, Ill., the same location playing host to Saturday’s fight card headlined with a lightweight top contenders bout between former champ Benson Henderson and the man who just knocked out Nate Diaz, Josh Thomson. In addition to the live stream will broadcast on ProMMAnow.com, we will provide live results for today’s weigh-ins beginning at 5 p.m. ET when the first fighter steps on the scales. We will also have staredown photos following the proceedings. The UFC returns to Chicgao’s United Center for their 10th installment on FOX as lightweight stars Benson Henderson and Josh Thomson headline the event. 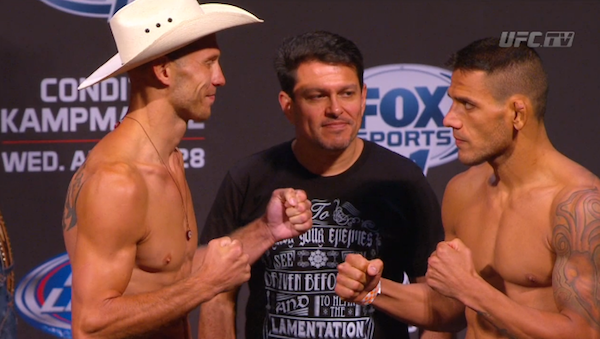 Donald Cerrone is staying busy following an up and down 2013. The lightweight had four fights this year starting with a January loss to Anthony Pettis. He would rebound to win against KJ Noons and then fall to Rafael dos Anjos in Indianapolis. He came back strong with a submission of the night at UFC 167 over Evan Dunham. His first task has been penciled in for 2014 as he heads to Chicago to meet Adriano Martins.